Look around. How many things exist in the world? 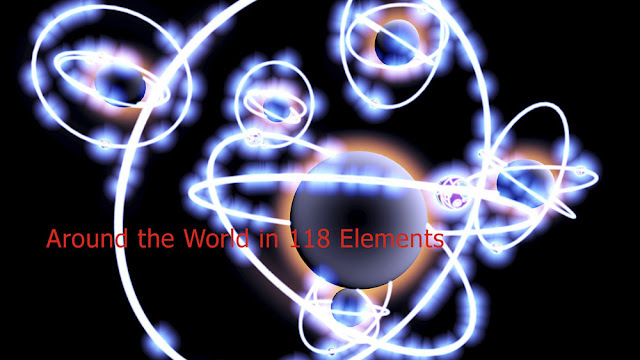 Consider that every one of them is comprised of only 118 elements. In order to understand these elements, we needed a means of organizing and categorizing them. Human beings struggled for millennia to devise such a system and In 1869, the Russian chemist Dmitri Mendeleev gave us the periodic table as we know it. Mendeleev created a diagram that resembles a lopsided castle. Each row and column has its own meaning. Each element appears in order according to the number of its protons. For example, H (hydrogen) comes first with 1 proton, He (helium) with 3 protons, and so forth through to Og (oganesson) with 118 protons. The vertical columns, or groups, tells us the number of electrons in the outer orbital and the rows, or periods, tell us the number of electron orbitals an element has. At 46 percent, Oxygen is the most common element on earth. Carbon is found in all living things: people, dogs, cats, plants, birds, trees. At a total of 31 grams on earth, astatine is the rarest natural element. People have known some of the elements for thousands of years, such as gold, silver, copper, and mercury. But others like potassium, iodine, zinc, and helium were only discovered in the 19th century. Still newer elements like Ununseptium and Flerovium are manmade. When the periodic table was first developed it had many gaps in it and in the 19th and 20th-century scientists raced to fill them. Currently, the table is complete, although more elements may be added as science develops. Understanding of the elements is the basis of chemistry, biology, physics and all knowledge stemming from these fields. The periodic table is so significant it’s still in use today and can be found in every child’s science classroom. In 2019 the world will celebrate 150 years of the ingenious periodic table.